Please join us for our March General Meeting. 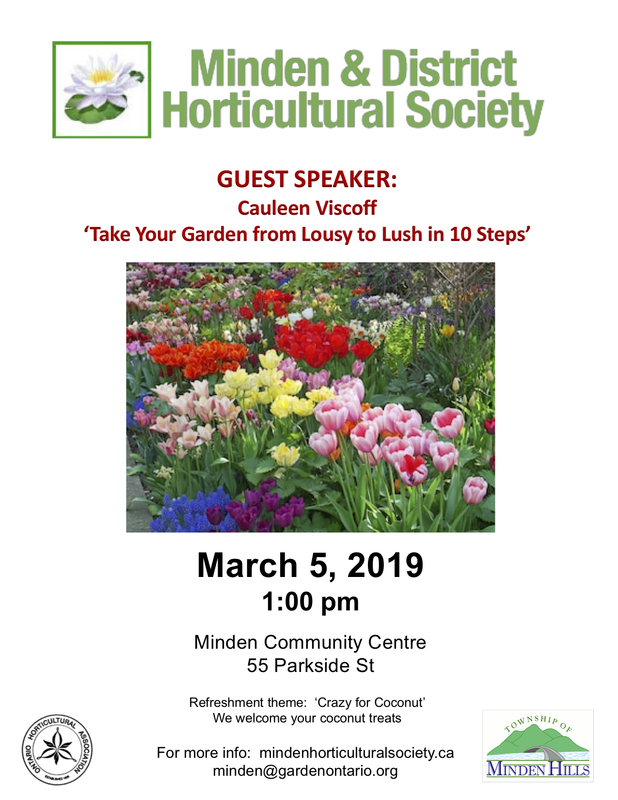 We are pleased to welcome Cauleen Viscoff of Lush Gardens in Peterborough who will help us learn how to: “Take Your Garden from Lousy to Lush in Ten Steps”. Cauleen is a master Gardener with the Peterborough Master Gardeners and is a board member of the Peterborough Horticultural Society. Note that this is an afternoon meeting, with a start time of 1pm.